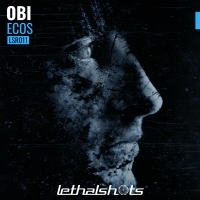 Having had a string of releases both with the Recoverworld family and beyond, Obi now brings his unique production style to Lethal Shots with the excellent Ecos. Distorted off beat stabs and stretched vox samples map out the intro until a detuned mid bass injects pace and angst into the proceedings. Hypnotic toplines and secondary riffs fire in from all directions making this a feast of sonic excellence that never ceases to surprise!! The breakdown is atmospheric and beautifully melodic - a tech trance masterclass. Obi has gone huge with this - Eco ticks all the boxes!! 'Ecos' is available now from Beatport and iTunes.